I’m going to post video here of the song “If You Need Somebody,” the lyrics to which I scribbled down one night long, long ago in PKs down in Carbondale, before a show. 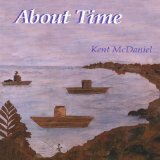 A few months later, that summer up at my sister Linda’s place in Naperville, I got around to putting the words to music, and maybe fifteen years later, I got around to recording it for my About Time album. Like the lord, I work in mysterious ways. Especially to me.